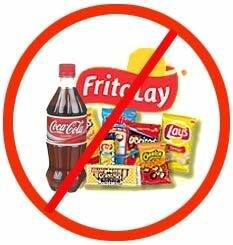 (NaturalNews) Most of us have, at one point in our lives, experienced intense cravings for unhealthy foods. Whether it be for chocolate, donuts, salty snacks or refined carbs, our bodies appear to want them — and we’re often all too happy to submit. There’s just one problem: Eating these foods doesn’t seem to end the cravings. What is going on here? Are our bodies playing a cruel joke on us? Well, not quite. Science now understands that these cravings are a sign that your body needs certain minerals that can be found in unhealthy foods but are best acquired from whole foods. Indeed, only by acquiring minerals from natural sources, in which all nutrients are optimized for superior absorption, can we hope to finally end the cravings that plague our lives. Chocolate is the most commonly-reported craving in the Western world, so it shouldn’t surprise us that it is linked to a nutrient in which a huge number of us are unknowingly deficient: magnesium. According to recent statistics, up to 80 percent of Americans are lacking in this essential macromineral, which is needed for over 300 biochemical reactions in the body, including reactions that relate to relaxation. In fact, magnesium is nicknamed the “relaxation mineral,” since anxiety, irritability, insomnia and high blood pressure are its main deficiency symptoms. This is the reason why magnesium-deficient people temporarily feel better after eating a chocolate bar: the small amounts of magnesium in it (derived from its cacao content) relaxes them. But, of course, there are far healthier sources of magnesium than processed chocolate. Dark leafy greens, seeds and nuts, fish, beans and blackstrap molasses are all excellent sources of magnesium and will help end chocolate cravings.